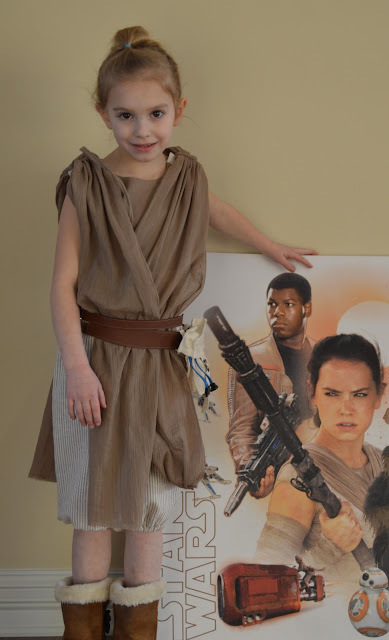 I am creating an everyday outfit with all the necessary accessories, for a child from Jakku. My inspiration is Rey from Star Wars. My designs are called: REYwear. 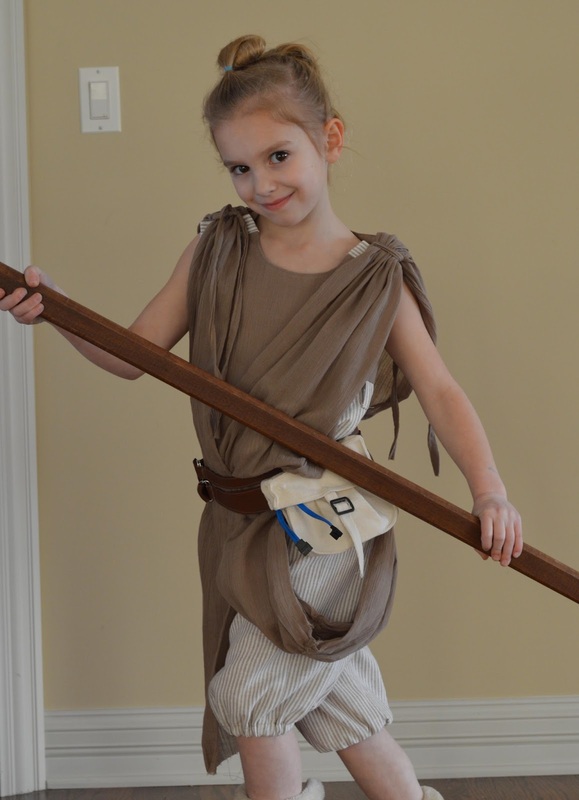 As a child, Rey lived on the planet Jakku, and grew to become an inventive scavenger. Rey loved the natural linen and cotton fabrics used in her outfit that kept her cool on hot summer days in the desert, so she wanted to use those fabrics in her designs. For indoor play, the romper features the soft, lightweight cotton gauze on the top, in a sand color that won't show dirt or sand. 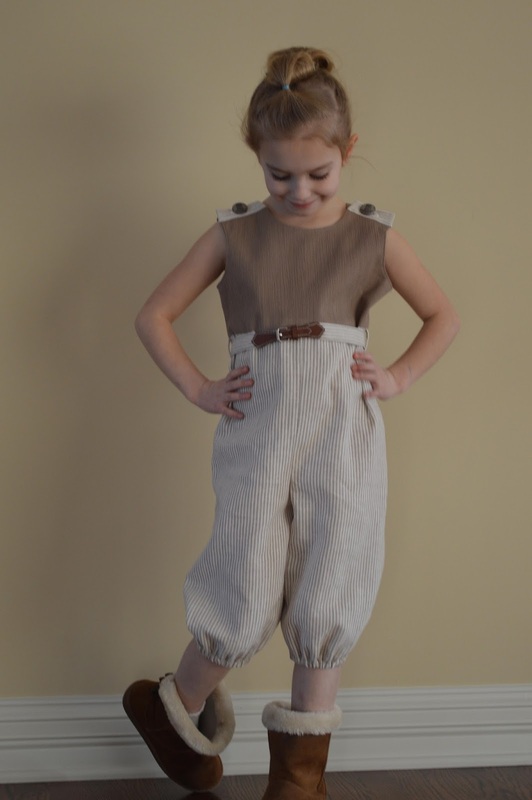 The lower part of the romper was made with a linen striped fabric. It's so easy to get dressed in the morning because it quickly fastens, with buttons salvaged from rebel uniforms, at each shoulder. bracelet, and mini canvas tote. 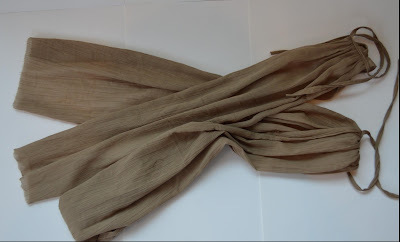 When playing outdoors, a light weight, pleated body scarf is added over the romper to protect skin from the wind-blown sand or the hot rays of the sun. 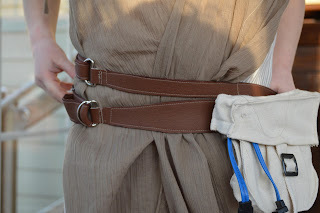 To make it easier to put on over her romper, special built-in ties secure the scarf at each shoulder. Though Rey carries a military backpack, she wanted to create a special rucksack that would protect and be useful for young children. So, this Locator and Messenger Bag was designed to keep children safe by allowing them to communicate with their parents, and the other children with them, while scavenging . 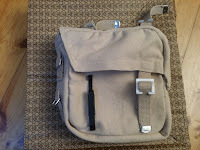 On the side of the bag, locator panels have been encased into the pocket. These locator panels help the children find valuable parts and test the part to see if it worth salvaging because it still works. To make it more comfortable to wear, the lined rucksack has a padded body and shoulder straps. 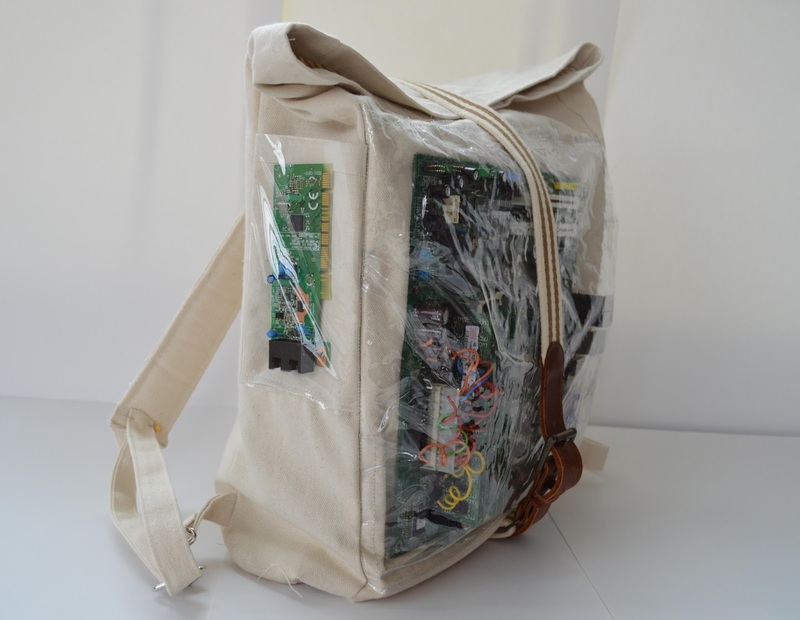 Click here to read more about the design of this special rucksack. 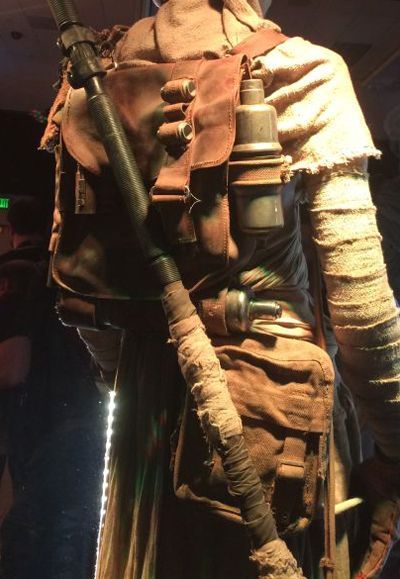 Jakku’s sandy wastes are littered with old wrecks, picked over by desperate scavengers searching for parts that can be salvaged and sold. Rey likes to salvage button from the Rebel uniforms. 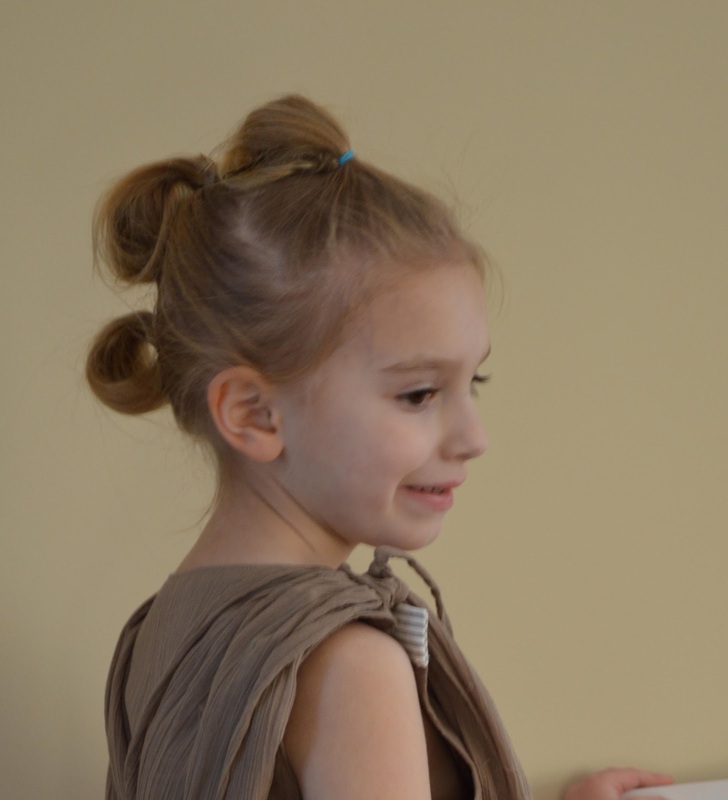 Every girl loves jewelry, so Rey designed a special bracelet made with the buttons from Rebel uniforms. This little Rebel loves her outfit for playing both inside her home and outdoors. Actually I had to bribe her with playing with play-doh when we were finished taking photos. I guess it had been a long day in all day Kindergarten, and she just wanted to play! I know that she will have a lot of fun playing and using her imagination while fighting off rebels in the future though. 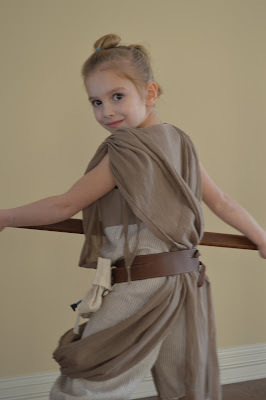 How fun--I love that there's a great girl inspiration for all the Star Wars loving girls out there! I totally agree that Rey is a strong female character that is smart, inventive, compassionate, and "understands motors!" Science + Math + a great future for girls. 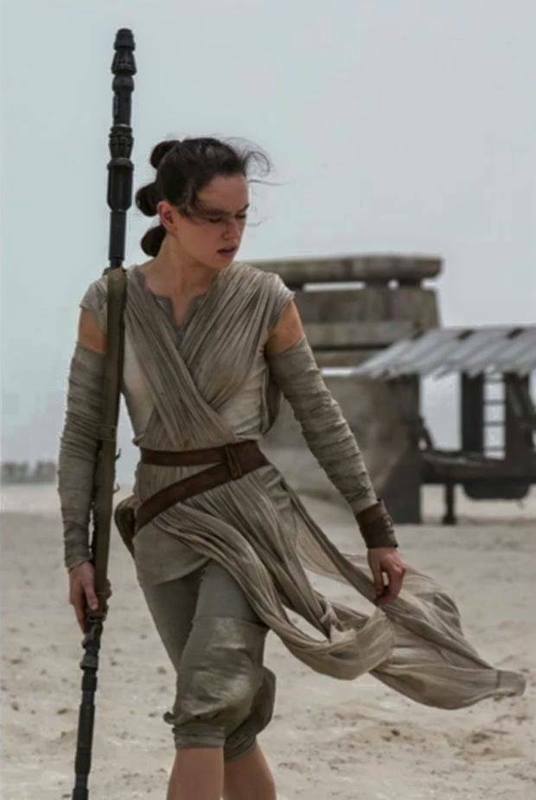 I love the romper spin on Rey's outfit. Great belt too! My Granddaughter loved the fact that the fabric felt so light on her skin, and the full ease of the romper felt good also. I'll probably make her a couple more rompers for this summer...I'm thinking about an elephant knit fabric that is in my stash right now. And the belt...I want one too! What a fun look! I can't wait for the weather to warm up! How very fun! Love the monochromatic theme here that is anything but boring!